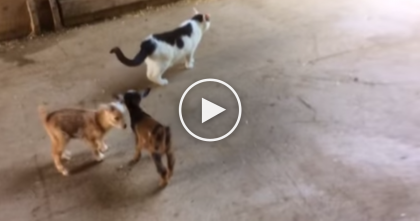 They Call Him “World’s Most Annoying Cat”, When You See What He Does To The Dog… Omg!! This funny cat just NEVER gives up – He annoys this dog SOO much that he can’t even walk in the pathway without getting pounced upon! – Some people think the cat’s just trying to play, but we’re not sure if the dog agrees, LOL!! 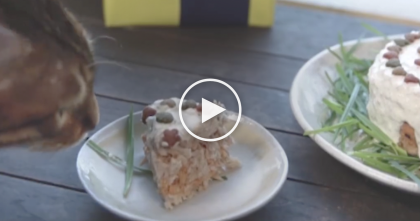 Just watch what he does to the dog anytime he gets a chance, LOL… Just watch the video! 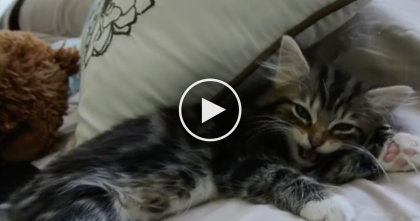 Tiny Kitten Attempts To ‘Roar’ But My Heart Just Can’t Handle It…OMG, Priceless!!! 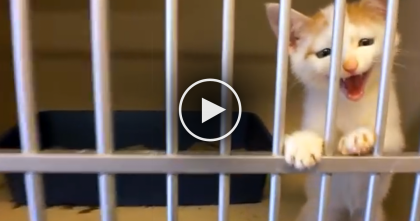 Little Kitten Starts Meowing At The Shelter, But When This Guy Notices… This Is Just TOO Cute! !